16' Hi Liner Fleet Star '59? Looking to move this along to the next owner. Has trailer, fold down top and cushions. Sale is "as is where is" Hope Maine $2500. 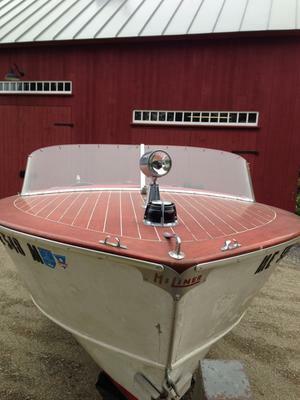 Comments for 16' Hi Liner Fleet Star '59? Hello, just wondering if you could email me more photos, location, etc.